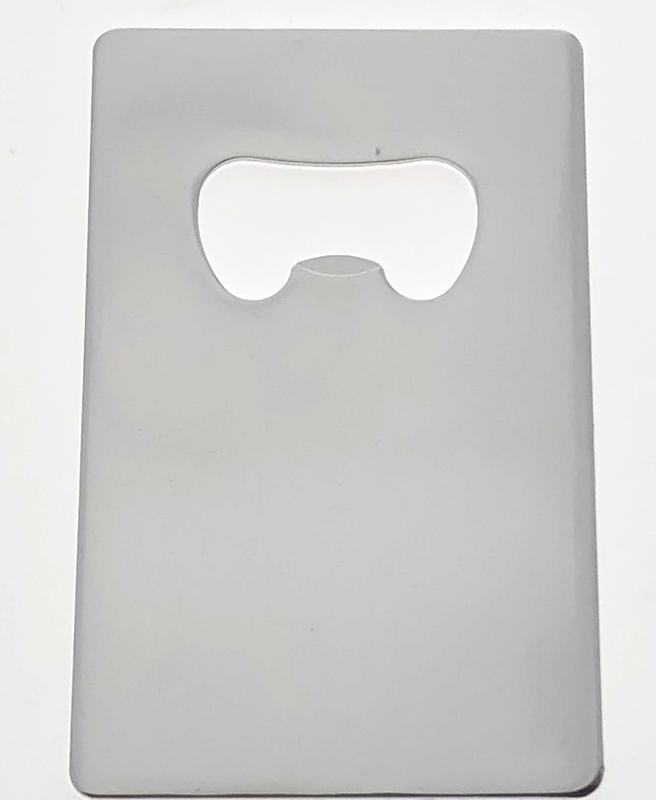 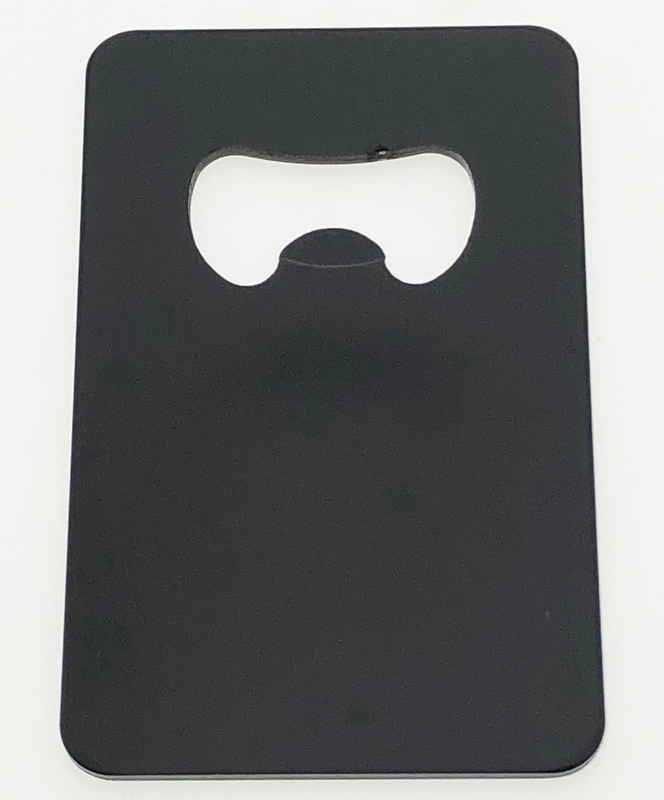 Our credit card shape bottle openers measure 3 3/8" X 2 1/8" X 1/16" (basically the exact same size as a credit card). 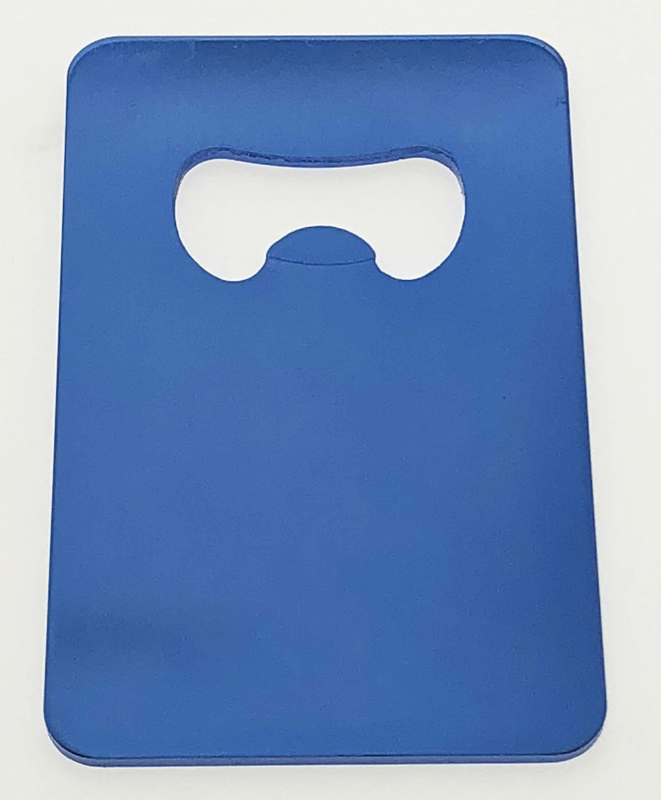 These are made from anodized aluminum and are assorted colors: BLACK, BLUE, RED, and SILVER. 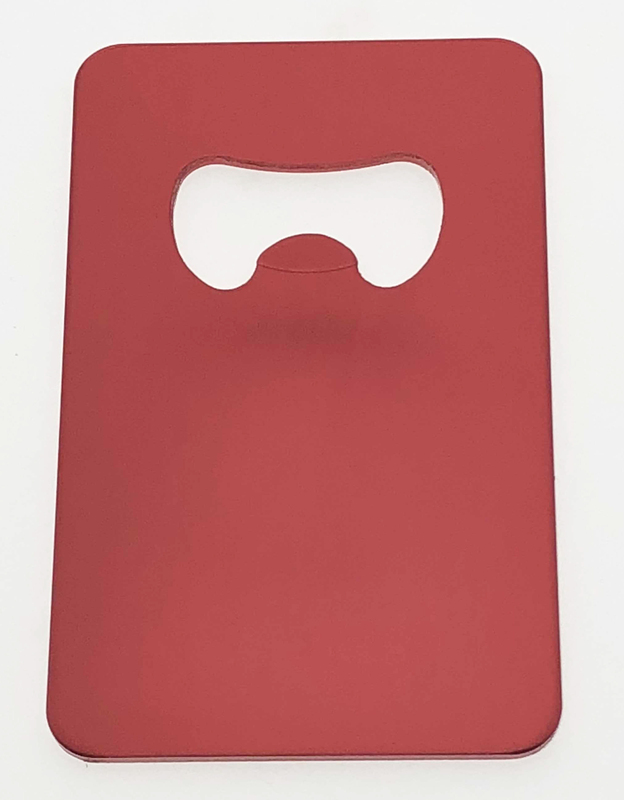 They are also available by individual color.